anything that you like or dislike about my efforts. Otley is a small rural market town situated towards the lower end of the Wharfe Valley wrapped between the Chevin and rolling foothills of the moors; dissected by the river Wharfe, Otley is the natural gateway to the scenic dales . Thomas Chippendale the famous cabinet maker was born in Otley his statue can be seen standing in Manor Square next to the Old Grammar School he once attended. The surrounding countryside is rich in the old rural economy of Britain dependent on small scale family run farms, in which livestock and arable production are evenly mixed. Production is distributed through local abattoirs and markets. 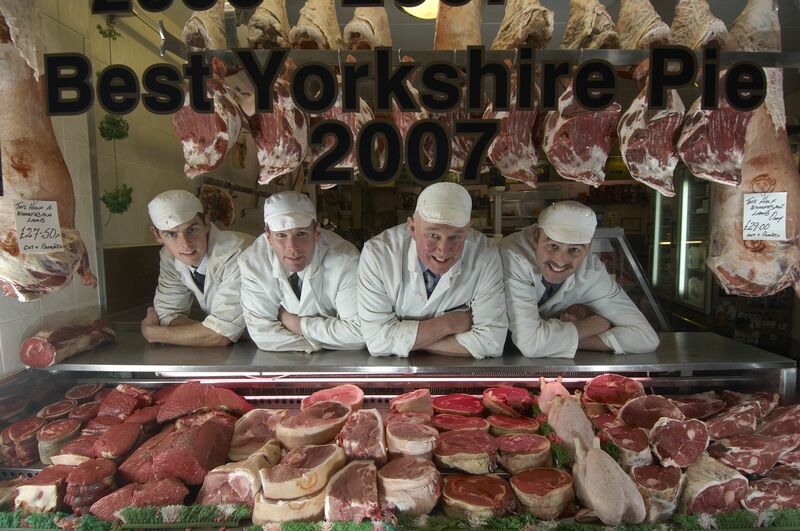 The result has been a thriving rural economy, an abundant supply of nutritious food and a self renewing countryside. The unique appearance of our landscape results from this old economy, with hedges and boundaries maintained to keep in livestock, and copses and coverts set aside for hunting and shooting. 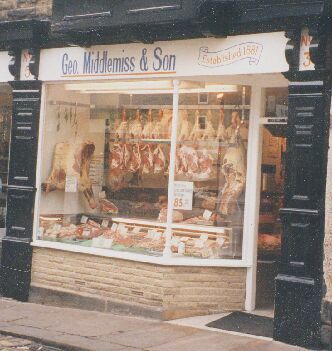 Our company was first established in 1881 by John Middlemiss, the present owners great great Grandfather, from a Market Stall in the adjoining square, moving into the present premises in 1900 Five generations of the family have now been providing the towns people of Otley with quality meats and meat products for over 120 years. Open Market Days in Otley are on Tuesdays Fridays and Saturdays, these are days when the streets are filled with many varied Market stalls. Also on Mondays and Wednesdays And Saturdays there are Livestock auctions at the Wharfedale Farmers Auction Mart East Chevin Road. A good place to first view the town of Otley is from surprise view at the top of the Chevin, a 900ft high hill situated on the southern most edge of the town. As you approach the brow of the hill from the south side the whole of Wharfedale will come into view below.